Mixed bag of riding conditions... Lower elevations are melt/freeze and upper elevations are holding pockets of preserved cold snow and isolated windslabs. Moderate South West winds easily transported and loaded snow onto N-E slopes creating windslabs at and above treeline. This late April sun is powerful...and despite air temps on the cooler side, sunny slopes will most likely continue to produce loose wet surface slides. Cornice Fall avalanches are caused by a release of overhanging, wind drifted snow. 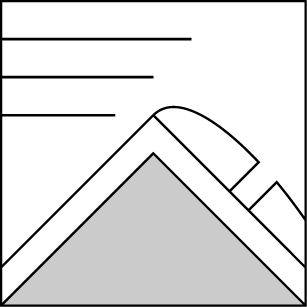 Cornices form on lee and cross-loaded ridges, sub-ridges, and sharp convexities. They are easiest to trigger during periods of rapid growth from wind drifting, rapid warming, or during rain-on-snow events. Cornices may break farther back onto flatter areas than expected. Many cornices have built up to their apex at this point of the season, give them plenty of respect. The week started out with heavy precip and snow levels rising to 8000' Sun/Monday. 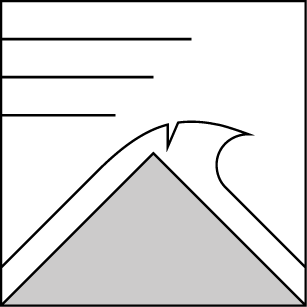 This produced a widespread wet avalanche cycle. Temps then cooled and the saturated snow surface froze and crusted over. 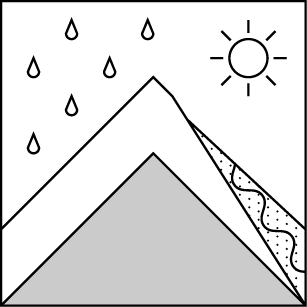 The major wet slab problems have subsided, but loose wet surface slides have continued especially on sunny slopes. About a foot of new snow (more in the Alpine) fell midweek along with SW winds. This loaded N-E slopes with wind slabs. These wind slabs will be more prevalent as you move up in elevation. There are no known concerning persistent weak layers in the snowpack. There was a skier triggered wind slab (size 1) on an East aspect at Tam Rim at 7500'. There were several Loose Wet slides on South and East aspects. It looks like we might see a few more inches over the weekend with moderate SW winds. Temps will range from the upper 30's to lows near 20. This snowpack summary applies only to backcountry areas. Click here for a map of the area. This snowpack summary describes general avalanche conditions and local variations always occur. This snowpack summary expires in 48 hours unless otherwise noted. The information in this snowpack summary is provided by the USDA Forest Service who is solely responsible for its content.